The Parachute Ground at Lilyfield provides affordable office and rehearsal space for creative organisations and practitioners. The Create NSW vision for the Lilyfield site is an ‘engine room’ for the small to medium arts sector that supports creative development and the incubation of ideas. The site complements presentation facilities at Carriageworks and the Walsh Bay Arts Precinct and leverages existing creative activity in the surrounding area. The site has 5 buildings including the physical theatre rehearsal facility “Red Box” and the Parachute Regiment Building. The site supports 11 arts organisations and major cultural institutions. The Red Box is used by resident companies and others for rehearsal and training and is hired for corporate events. 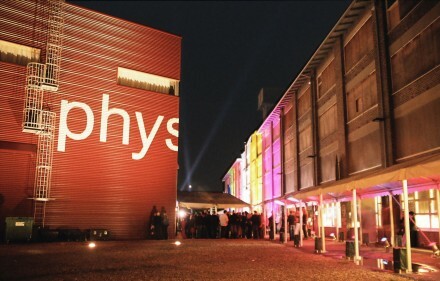 It is a popular venue amongst arts organisations, with the facility being hired more than 80% of the year. A portion of the upper floor of the Parachute Regiment Building is also available as rehearsal space for arts organisations. These spaces are managed by Legs on the Wall on behalf of Create NSW. Contact Legs on the Wall for further information regarding the hire of these facilities.